Just three days after last year’s presidential election, someone predicted the Perpetual Treasuries Ltd (PTL) bond issue on an online website for stock market investors. The new Cabinet had not even been sworn in. The prognosis for the new President and his Government was excellent. They had campaigned on a platform of good governance, meritocracy, transparency and freedom from corruption. There was every confidence that appointments to key positions would reflect those principles. Any suggestion of the sort ‘Business Basil’ made on Equity Forum seemed unwarranted, premature and wholly speculative. But he was proved right at the Central Bank bond auction of late February 2015. The Government was not two months old when the storm broke. The allegation is that PTL benefited at the auction from a combination of insider information and a late decision to issue an unprecedented volume of bonds. This article was researched over a period of several weeks. Many of those approached for information ran scared. One said that the subject was a “time bomb” and that he wanted nothing to do with it. Some laughed when asked about Perpetual’s business practices. Those who agreed to be interviewed asked to remain anonymous. Every one of them maintained that 33-year-old Mr Aloysius was well-connected, both with the previous administration and the incumbent Government. Finance Minister Ravi Karunanayake’s name came up frequently, although he himself denied any “special relationship” with the young man. The Sunday Times messaged Arjuna Mahendran with an offer to interview his son-in-law. He replied that it was unlikely Mr Aloysius would agree. A note sent again this week went unanswered. We also wrote to Mr Aloysius at an email address provided by his secretary. An employee replied that he will do his best to meet our request for an interview once he had spoken with Mr Aloysius. Siromi Wickramasinghe was a director of Perpetual Capital Holdings Ltd (PCHL), which is Perpetual Treasuries’ owning company, from December 2013-March 2015. It was alleged that PTL had gained undue advantage from this connection. In defence, Mrs Wickramasinghe said she had never been a director of Perpetual Treasuries Ltd or been involved in any transaction or bid made by that specific company. Mr Aloysius’s camp also resorts to technicalities whenever the issue of conflict-of-interest is raised. He wasn’t a director of PTL when the controversial bond auction took place, it claims. This is true. He resigned on January 16, 2015, a week before Mr Mahendran was appointed CBSL Governor. But he has retained other positions in the Group and clearly his influence. Any separation of interests is only on paper. Investment banker Arjuna Mahendran is the son of Charlie Mahendran, a retired Foreign Service diplomat who had joined the United National Party after returning from his last posting as Ambassador to China. When Ranil Wickremesinghe became Premier in 2001, the senior Mahendran went to New York as Sri Lanka’s Permanent Representative to the United Nations. Arjuna, the son, was simultaneously made Chairman of the Board of Investment (BOI). And again, in January 2015, he was appointed CBSL Governor eleven days after the Sirsena-Wickremesinghe Cabinet was installed. The most well-intentioned warnings about glaring conflict of interest were ignored. The wedding of Anjali Mahendran and Arjun Aloysius had taken place in 2012, one year before PTL was licensed as a primary dealer. The bride was Hindu; the groom’s family, staunchly Catholic. They even had the Borella All Saints church repainted in white at their cost for the marriage ceremony which was conducted by Joseph Spiteri, Apostolic Nuncio to Sri Lanka. Arjun is the grandson of Kattar Aloysius, who started out as a dry fish exporter and ended up as one of the country’s most successful businessman. He founded the Free Lanka Group and was a significant shareholder in several companies at the time of his death in 2013. There is a website dedicated to the extended Kattar family which hails from South India. It shows that Kattar Aloysius, whom they call the patriarch, was much loved and respected. The senior Aloysius was close to Ranasinghe Premadasa. However, a clear distinction must be drawn here between Kattar Aloysius and “Aloysius Mudalali” whose real name was Samerasekara Mahamalika Aarachige (S M A) Aloysius and who had much deeper connections, including political, with Mr Premadasa. There was no business or family tie between Kattar Aloysius and Aloysius Mudalali. A member of the late President’s administration said he (the administrator) first came to know the businessman in 1977, when Mr Premadasa became Prime Minister. Mr Aloysius had good public relations skills, was a great networker and would often assist Mr Premadasa for free, such as helping with food at certain functions or renovating a favourite bungalow in Yala. The administrator felt the senior Aloysius would have been devastated at the recent turn of events. He also said the old man, towards the end of his life, had expressed disappointment about the direction in which some aspects of his business were being driven. His son Geoffrey Aloysius is Arjun’s father and remains a director of PTL. His other son, Godfrey, was also a director but resigned four weeks before the bond scandal. The Kattar website (kept alive by various relatives scattered around the world, particularly Canada) records special moments in the lives of the extended family. It provides a window into a deeply devout and united Catholic clan that starts and ends every special occasion with prayer. Several of its members are Catholic priests and nuns. They meet frequently at Christenings, birthdays, memorials, funerals and weddings. But the page that once published the photographs of Arjun and Anjali’s marriage has been removed. And they are notably absent from the site. In fact, neither Arjun nor Anjali have notable internet footprints. That latter’s Instagram account is private. Even photographs that were once available via a simple Google search are no longer to be seen. This reticence has helped create an aura of secrecy around Mr Arjun Aloysius. Even at the height of the controversial pump-and-dump market operation in 2011-2012, neither he nor his company were openly identified by the regulator as being part of the well-connected “stock market mafia”. Those it did name were prominent businessmen with public personas. Many had granted interviews, given speeches, attended functions, appeared on television and are widely documented on the internet. By contrast, Mr Aloysius, then still in his twenties, has remained well under the radar. In 2012, he was selected to be a member of the Global Shapers Colombo Hub. At 27, he presented a glowing bio-data and appeared to be “a young entrepreneur from Colombo who was doing really well, that understood the market as well as the business environment”. He might write a cracker CV–we have not seen it–but Mr Aloysius played up in school. He was compelled to leave one international school prematurely because the principal found him a difficult prospect. He then had to quit the next international school he was enrolled in because that principal, too, thought him “incorrigible”. He gained just two passes at the London GCE O/Levels in maths and English. We know from the letters of demand Mr Aloysius recently sent two media companies that he holds a bachelor’s degree in business from the ‘Bond University’ in Australia (and, no, the irony was not lost on anyone). Online discussion boards about Australian universities say Bond, while it has greatly improved its reputation in recent years, had once been called the “rich kid university”. Mr Aloysius’s results at Bond are not known. In any case, academic achievement is not necessarily a fair parameter. At 21, he was made consultant to the Free Lanka Group. At 28, he was CEO of Perpetual Asset Management–as PCHL is still officially known–and Deputy Chairman of W M Mendis and Company as well as a board member of Housing Development Finance Corporation (HDFC). 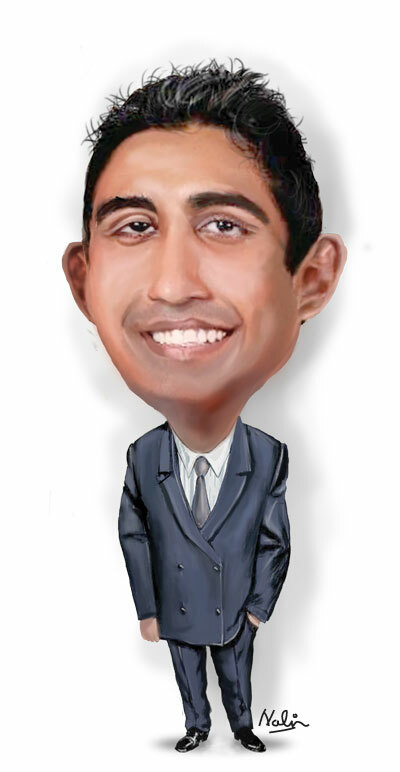 Mr Aloysius had entered both Mendis and HDFC boards by virtue of Perpetual Capital acquiring large stakes in each. In May 2011, he became a director of HDFC as Perpetual was among the top five shareholders of the bank in which the National Housing Development Authority held the controlling stake. (Siromi Wickramasinghe was Chairperson at the time). The same year, Perpetual bought the controlling interest of Mendis for a reported one billion rupees or more. Market sources say it was his grandfather that facilitated Mr Aloysius’s entry into the stock market, by either giving him some shares or access to the sale proceeds of those shares. It started out well. But Perpetual soon edged into murky territory. It started targeting a complicit EPF as a dumping ground for inflated shares. Perpetual Capital and Perpetual Asset Management quietly joined a tiny posse that was helping to pump up the value of certain shares and unload them on to the EPF. Two of these were Ceylon Grain Elevators (GRAN) and Lanka Orix Leasing Company (LOLC). “There was a sort of an insider ring being created with certain people within the EPF and the Central Bank,” said an authoritative source, strictly on condition of anonymity. Harsha de Silva, then an opposition legislator, was among the first to point out that the EPF was investing in non-blue chip companies in a questionable manner. For instance, Perpetual acquired shares of GRAN for around 50-80 rupees each at the end of 2010. On March 3-4 the following year, EPF bought five million of these shares from Perpetual at Rs 205. The price then fell dramatically to original levels, slaying everyone else that had put money into GRAN after having observed it rise (artificially) in value. Among those affected in a similar manner were some friends of Mr Aloysius. After helping to inflate or“pump up” the prices, they lost millions when the share prices plummeted following his sales. Perpetual Asset Management employed a similar strategy to sell shares of LOLC to EPF and Bank of Ceylon. A study of historic stock market data, including daily price sheets and trading information, reveals much of the above. One stockbroker estimated that Perpetual made Rs 700-800 million profit from each or about Rs 1.5 billion from both. Also in 2011, Perpetual Capital acquired a large stake in Lanka Ashok Leyland held by an investor named Saliya Perera. This longstanding shareholder had bought 27.8 percent of the company over a period of time. But he was in debt to a private bank. Perpetual arranged with the bank to repossess a section of Mr Perera’s bloc. “The bank force-sold around 12 percent of Saliya’s stake to Perpetual at a massive discount,” a stockbroker said. The share was trading at Rs. 3000 when Perpetual lapped it up at Rs. 1000, causing shockwaves in the industry. The sale was carried out ostensibly to settle Mr Perera’s dues. But he confided to a friend that the bank had disposed of far more than necessary. “He said he was not someone who got angry,” his confidant told the Sunday Times. “He also said greed was Satan and that those responsible will have to answer to God. He was taking deep breaths. He was sad about losing something he had collected for so many years.” Days later, Mr Perera—a “bubbly, self-made man”—died of a heart attack. He was in his early 50s. By now, Perpetual had substantial stakes in HDFC, Central Finance, Lanka Ashok Leyland, Bairaha Farms, LOLC, DIMO and CIC Holdings. As reported above, it also took control of liquor manufacturer W M Mendis and Co.
Those acquainted with Mr Arjun Aloysius say he spoke freely about how Perpetual had engineered the Leyland and Mendis acquisitions. But analysts also observe that he could have earned substantially more on the stock exchange had he sold Perpetual’s stakes in some companies when the respective share prices were peaking. Why, they ask, does he hold on to certain portfolios and divest of them when the market is down? The well-documented Central Bank bond issue gave Perpetual another windfall. In August 2016, the Group started buying National Development Bank (NDB) shares using two margin trading accounts: Waldock Mackenzie/Perpetual and Union Bank/Perpetual. They first collected small quantities, then expanded volumes gradually. The two main companies that hold NDB shares are Perpetual Equities and Perpetual Treasuries. Perpetual is now expanding still further. There is speculation that it wants to buy a stock brokerage (Religare Capital Markets has been mentioned). It is eyeing a television station. Journalists are already being recruited for a national newspaper project. It is also open secret that Mr Aloysius has been helping to keep afloat a newspaper house which has been in financial difficulties for months on end. He even has an in-house representative, a General Manager named Mahesh Senanayake, who told editorial staff that his task was to protect his investor’s interests. The money, around Rs 1 million a month, comes in via Perpetual Group advertisements. Employees recently went unpaid for two months after the money failed to come in. Around this time, stories related to the Committee on Public Enterprise’s (COPE) report on the bond issue were published. Some members of the Sinhala language edition went public on websites demanding Mr Aloysius to remunerate the staff. A million was invested again last month. There is no sign of any action being taken against anyone regarding the 2015 bond scam. The consensus was that Mr Aloysius’s connections–through his father-in-law and of his own making–are too strong. One source related how he had hired a limousine for an influential Government minister in London last year, during an investment road show. Patients become pawns in GMOA’s fight against Govt. Post procedure deaths at NHS: Was inquiry into mishaps exhaustively carried out?